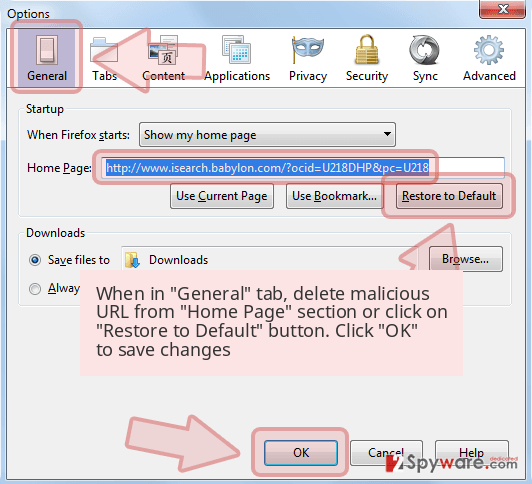 GifsGalore Toolbar is the PUP that uses misleading techniques to prevent removal. Use Reimage to locate malicious components and get rid of them faster than with uninstall instructions. A full system scan blocks virus reappearance and prevents traffic to malicious domains. GifsGalore Toolbar is a free computer program that can be downloaded and installed by any computer user. However, some users install it without realizing what this computer program does and then start looking for GifsGalore removal instructions. 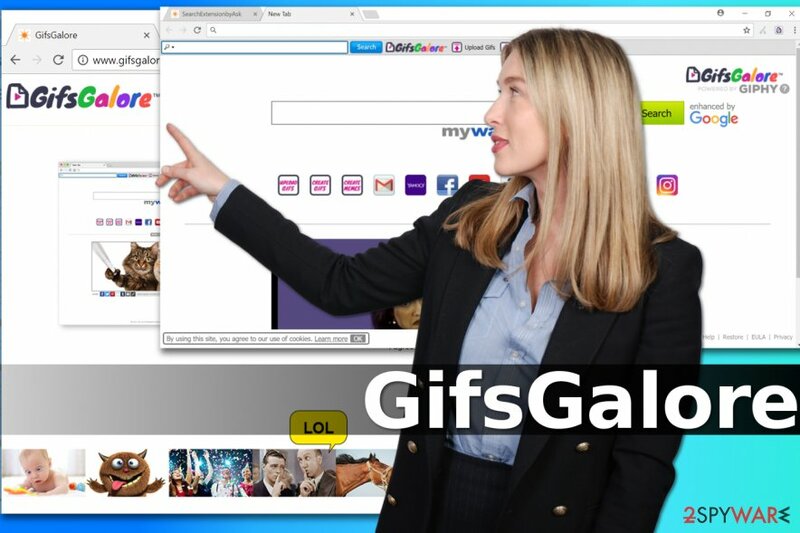 GifsGalore arrives in the form of a browser extension that can be added to Chrome, Firefox, and other web browsers. 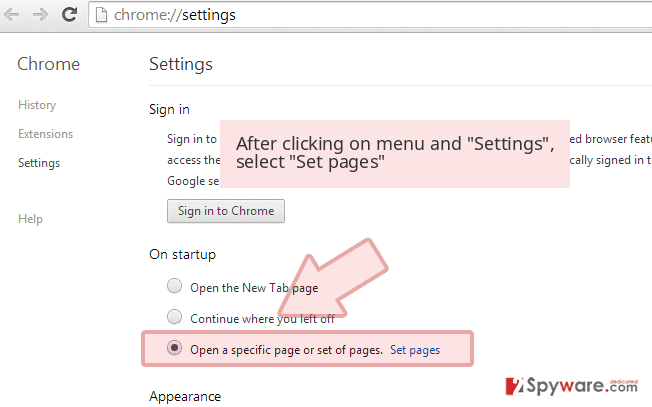 Once installed, it changes the start page and search settings in these browsers without clearly informing the computer user about these changes first. It seeks to convince users to start using a version of search.myway.com search engine, which is associated with other system tools such as Free Manuals Index or My Forms Finder. The reason why we recommend you to remove GifsGalore is its ability to serve ads in the form of search results. These might appear above regular search results or on the right side of them. Although the free application does not intend to serve deceptive ads, you might encounter some if you click on them carelessly. The developer of this toolbar cannot endorse every ad provided in the search results and guarantee that it leads to a secure website. For this reason, you have to stay cautious when surfing the Internet and make sure that you avoid suspicious content at all times. 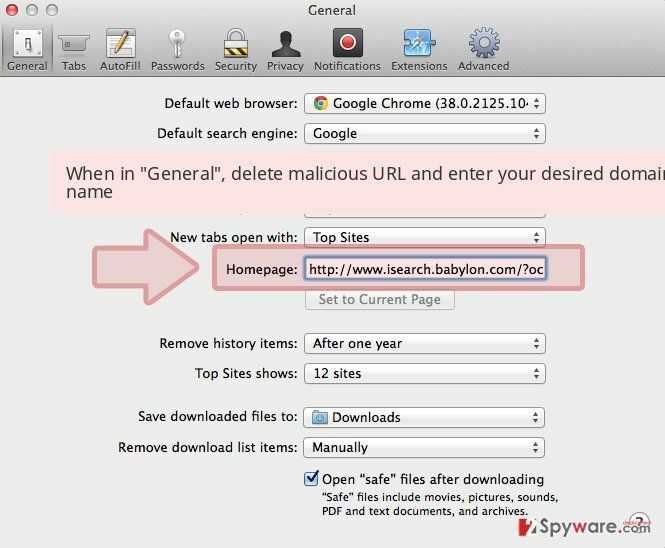 If you suspect that you accidentally installed suspicious apps while browsing the Internet, you can always check your system’s status using anti-spyware software like Reimage or Malwarebytes MalwarebytesCombo Cleaner. GifsGalore Toolbar changes particular settings in the browser to keep redirecting the user to the presented search page. 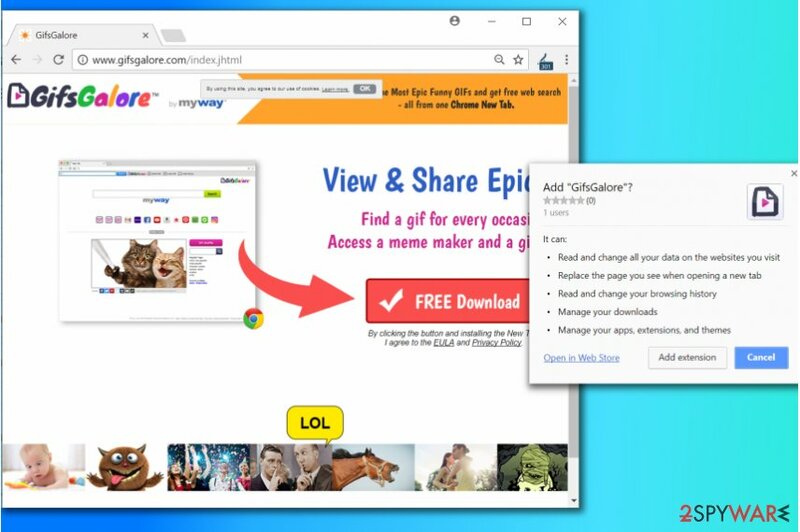 As we have mentioned before, GifsGalore Toolbar can be installed directly from its official website, where it promotes itself as a useful tool that allows to „find GIFs for every occasion.“ You can install the browser extension directly to your browser if you want, however, there might be an alternative way to get this toolbar. According to Dieviren.de, free programs such as browser extensions are often promoted via software installers, so you have to stay alert when looking for a program to install on your computer. Remember that software installers frequently recommend installing some additional programs because they seek to promote them in exchange for pay-per-install revenue. To deselect these extra items, choose Custom or Advanced options for software installation. Recently, the developer of this program contacted us asking us to remove this post from 2-spyware.com website. We believe that we shouldn't do that as long as programs that we offer for the removal of GifsGalore Toolbar can detect it and help users to remove it from the system. As it is mentioned under each of download buttons, we ARE affiliated with these anti-malware programs, and while some of them are free, others can remove a virus only after purchasing them. These mentions fully fulfill each of the requirements of FTC. If you decided that you want to remove GifsGalore from your browser, use the guidelines provided right below this article. You can quickly fix your browsers by deleting a particular extension from them; however, it is highly recommended to check for suspicious apps in Control Panel as well. If you want to complete GifsGalore removal automatically, feel free to use anti-spyware programs available on the market today. If you‘re interested in 2-Spyware recommendations, see the list of suggested programs below. 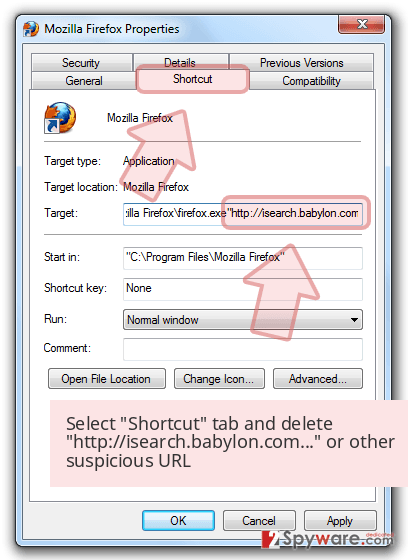 Here, look for GifsGalore Toolbar or any other recently installed suspicious programs. Wait until you see Applications folder and look for GifsGalore Toolbar or any other suspicious programs on it. Now right click on every of such entries and select Move to Trash. When in the new window, check Delete personal settings and select Reset again to complete GifsGalore Toolbar removal. Once these steps are finished, GifsGalore Toolbar should be removed from your Microsoft Edge browser. Here, select GifsGalore Toolbar and other questionable plugins. Click Remove to delete these entries. Now you will see Reset Firefox to its default state message with Reset Firefox button. Click this button for several times and complete GifsGalore Toolbar removal. Delete GifsGalore today using the provided guide. Here, select GifsGalore Toolbar and other malicious plugins and select trash icon to delete these entries. 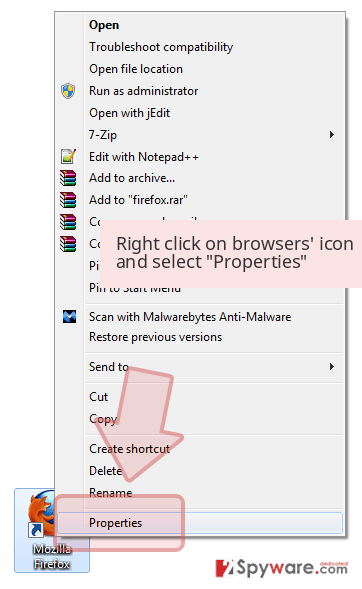 Click Reset to confirm this action and complete GifsGalore Toolbar removal. Here, select Extensions and look for GifsGalore Toolbar or other suspicious entries. Click on the Uninstall button to get rid each of them. Here, look at the Homepage field. If it was altered by GifsGalore Toolbar, remove unwanted link and enter the one that you want to use for your searches. Remember to include the "http://" before typing in the address of the page. Now you will see a detailed dialog window filled with reset options. All of those options are usually checked, but you can specify which of them you want to reset. Click the Reset button to complete GifsGalore Toolbar removal process. ^ DieViren. Dieviren. Malware, Spyware News. This entry was posted on 2017-10-04 at 05:57 and is filed under System tools, Viruses. You can quickly scan the QR code with your mobile device and have GifsGalore Toolbar manual removal instructions right in your pocket. How did you remove GifsGalore Toolbar?